Greece Saloni of the Director’s residence, British School at Athens, Entrance from 52 Souedias Str. Professor Kostis Kourelis (Franklin & Marshall College) will give a lecture entitled “The Archaeology of Care: Refugee Camps as Cultural Landscapes”. The current refugee crisis in Greece is only the latest episode in a continuous movement of forced migration through the Greek landscape over two centuries. According to the latest reports by the United Nations Refugee Agency, there are 50 camps on the Greek mainland that are currently housing undocumented migrants. Dispersed throughout the countryside and tightly policed by the army, today’s camps present challenges in documenting a material landscape of suffering. we develop a disciplinary response to camps as an increasingly dominant mode of housing in the 21st century. 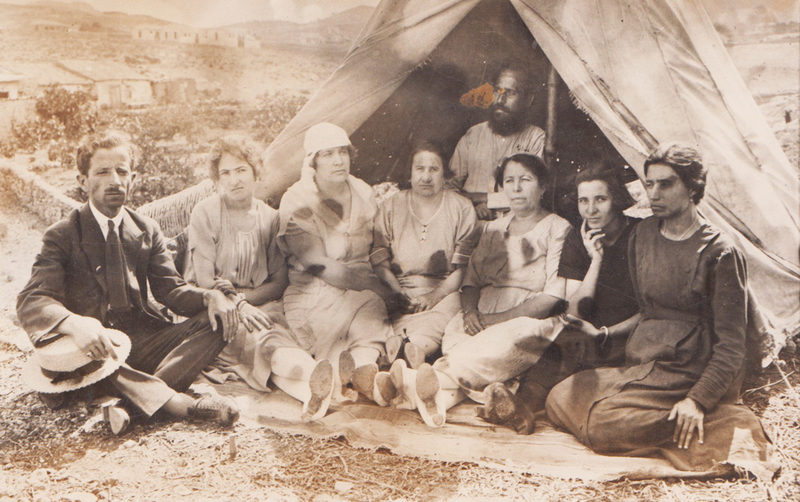 Greece offers a unique laboratory to investigate the long history of refugee housing. More than any other European country, it has continuously confronted a crisis of refugees from the inception of the nation-state. The national archaeological service and the foreign schools have played significant roles, both positive and negative, in managing the multiple refugee crises that have plagued the country for two centuries. A systematic new field of refugee archaeology must overcome Greece’s traditional resistance to the excavation of modern sites of trauma, such as internment camps, refugee camps, political prisoner camps, or mass burials. Using the most recent refugee crisis as a starting point, the paper highlights ongoing research on the archaeology of modern displacement during the war of independence, the Asia Minor refugee crisis, and the Nazi occupation.